Trust ControlScan—your team of security and compliance experts. Our experts prevent, detect and respond to cyber threats you face. ControlScan helps you cut through the complexity of securing sensitive data and achieving compliance by delivering support through experts who understand BOTH security and compliance, as well as how they relate to each other. We’re committed to providing you with the highest quality team of experts in the industry, and we back that up by investing in their training and credentials. Check out our areas of expertise, listed below. Approved Scanning Vendors (ASVs) are organizations that validate adherence to certain DSS requirements by performing vulnerability scans of Internet-facing environments of merchants and service providers. 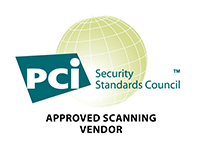 As a company, ControlScan revalidates with the PCI Security Standard Council every year, and our ASV employees requalify annually, too. This means that we’re up to date on the very latest vulnerabilities. We’re also experts in scanning your Internet-facing environment and working with you to resolve any issues and achieve PCI compliance. 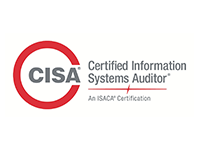 The CISA designation is a globally recognized certification for IS audit control, assurance and security professionals. Being CISA-certified showcases your audit experience, skills and knowledge, and demonstrates you are capable to access vulnerabilities, report on compliance and institute controls within the enterprise. We don’t stop at earning our QSA credentials; we support employees who seek the CISA certification, which further strengthens our auditing capabilities, skills and knowledge. It deepens our ability to provide a broader analysis of controls, risk and vulnerabilities within the enterprise. 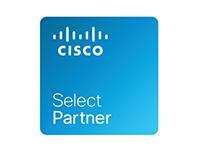 Cisco Select Certification recognizes and rewards partners that have achieved a Cisco Specialization. Cisco Select reflects a partner's technological and business expertise in a specific Cisco Technology. As a Managed Security Services Provider (MSSP), ControlScan has selected Cisco technologies for some of its core solutions. To ensure expert implementation and support, we ensure that our support engineers and analysts are fully trained on those technologies, as demonstrated by our Cisco Select Certified Partner designation. 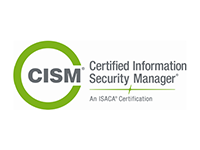 The CISM certification promotes international security practices and recognizes the individual who manages designs, and oversees and assesses an enterprise’s information security. CISSP, CISM, and CISA certifications all represent a heavy investment in building employee capabilities related to IT security. The CISM certification promotes our understanding and utilization of international security practices in managing and assessing the security of your organization. The CISSP® certification is a globally recognized standard of achievement that confirms an individual's knowledge in the field of information security. 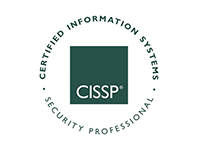 CISSPs are information assurance professionals who define the architecture, design, management and/or controls that assure the security of business environments. It was the first certification in the field of information security to meet the stringent requirements of ISO/IEC Standard 17024. The CISSP certification is one of the most widely recognized credentials in the security arena. We have a large number of security-focused employees who have earned their CISSP by going through the body’s rigorous testing process. Our CISSPs stand ready to ensure the security of your business environment through better architecture, design, management and/or controls. A Certified Ethical Hacker has obtained a certification from the EC-Council in how to look for the weaknesses and vulnerabilities in target systems by using the same knowledge and tools used by real cyber criminals. How do you combat an invisible enemy? We believe it starts by applying the same knowledge and tools used by real cyber criminals. 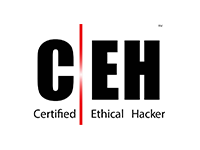 The Certified Eithical Hacker (CEH) certification from the EC-Council proves that we know how to search and find the weaknesses and vulnerabilities in target systems. 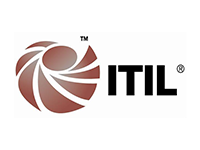 The ITIL Foundation Certificate in IT Service Management provides IT professionals and managers with the essential skills needed to deliver customer-centric, cost-justified and business-driven IT services. Our business is built on delivering quality services to our customers. Our employees earn the ITIL Foundation Certificate in IT Service Management to ensure we house the essential skills needed to deliver customer-centric, quality services that enable us to maintain leadership in our industry. SMBs are increasingly adopting Linux as a core platform in their infrastructure. 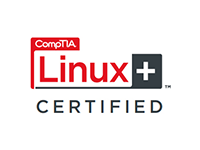 Our engineers pursue a CompTIA Linux+ certification to validate their knowledge and skills in the Linux arena, providing the assurance that we’re prepared to support you. Microsoft technologies have a dominant role in the IT infrastructures of most of our SMB customers. 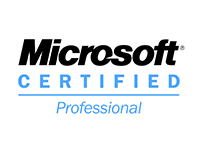 Our Microsoft Certified Professional (MCP) certification validates our technical expertise related to Microsoft infrastructure. Individuals with the certification have passed rigorous, industry-recognized exams and have strong experience with Microsoft products, technologies, and solutions. Technical security and compliance typically starts with the network. Our support engineers pursue a Network+ certification to validate the technical knowledge they have acquired as foundation-level IT network practitioners. The Payment Card Industry Professional (PCIP)™ is the base, entry level qualification for an individual and provides a solid foundation for future career progression to other PCI qualifications. As the leader in assisting SMBs with PCI compliance, we encourage our broader organization—such as those in sales and support—to earn their PCIP. The certification ensures an organization-wide, base level understanding of the PCI DSS and its practical application in the SMB enterprise. Qualified Security Assessor (QSA) is a designation conferred by the PCI Security Standards Council to those individuals that meet specific information security education requirements, have taken the appropriate training from the PCI Security Standards Council, are employees of a Qualified Security Assessor (QSA) company approved PCI security and auditing firm, and will be performing PCI compliance assessments as they relate to the protection of credit card data. We are a Qualified Security Assessor (QSA) company with QSAs on staff and prepared to work with you on a variety of engagements. Our QSAs must requalify with the PCI Security Standards Council on an annual basis, demonstrating a continued accumulation of knowledge and experience in PCI DSS-related areas. 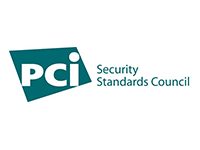 As proven PCI experts, we are fully qualified to assist clients in achieving PCI compliance and performing formal PCI compliance assessments as they relate to the protection of credit card data. 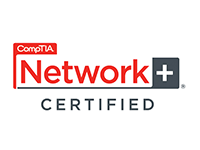 The CompTIA Security+ certification verifies an individual’s knowledge in different areas of computer security such as cryptography and access control, as well as business-related topics such as disaster recovery and risk management. Our support engineers leverage a broad array of security training and certifications. 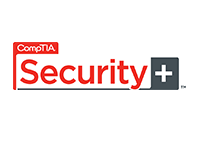 Our CompTIA Security+ certification represents an investment in training and certification in a variety of computer security topics that are highly relevant to PCI and HIPAA. It also covers business-related topics such as disaster recovery and risk management.